How many Gen Xers or Millennials out there have heard a similar statement growing up? How many readers of this blog have given that advice? Many people realize that higher education can open up many opportunities and typically gives college graduates higher earning potential. The U.S. Bureau of Labor Statistics shows that the more education one attains the more income they will earn and the less likely they will find themselves unemployed (unless by choice). It is also clear that the more education one attains the more debt that they find themselves in once they enter the labor force. It isn’t uncommon for today’s professional graduates to come out of school with hundreds of thousands in debt (think doctors, dentists, pharmacists, etc.). 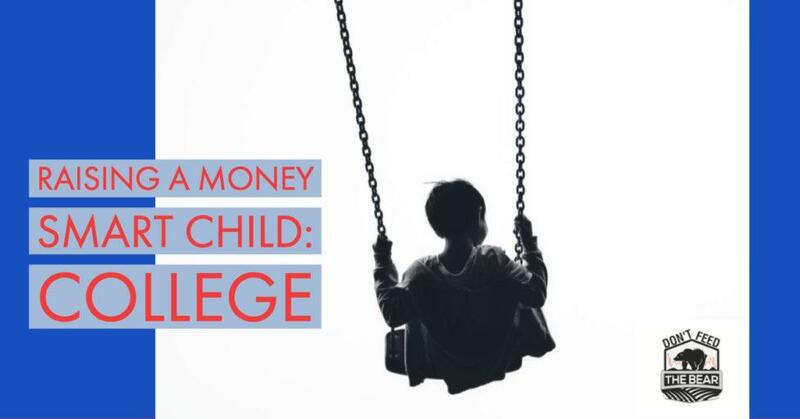 One of the big topics of the college discussion that is missing between parents and their children is making economically-sound decisions about paying for higher education. Will graduates be able to make enough to live and pay down their debts in a reasonable fashion? The average college graduate in Wisconsin comes out with $20,104 in debt, according to Student Loan Report. Unfortunately some graduates have trouble paying off their student debt and cannot even pay enough of the balance to keep up with the amount of interest that the debt is generating. This results in a borrower’s balance increasing; we all know that we want that balance to decrease! A CNBC article recently wrote about this phenomenon and the struggles of some of the people the endure this challenge. Some will bring their debts to their grave. So what can people do about planning for higher education so they do not find themselves in such a dire situation? Here is a list of some basic things that should be analyzed when one is considering their higher education options. Is there an idea of the career that the student wants to pursue? Having a fundamental plan in place helps get their career started, even if they experience a career change at some point down the road. Will the career provide an ample earning opportunity to pay off student loans? This question may require a hard look in the mirror to ask if the career or program in question will allow one to achieve their career goals in a way that doesn’t overwhelm them with debt. Is there a community college or technical college that has the appropriate prerequisites that can be transferred to a four-year institution? In Madison, Wisconsin, Madison Area Technical College has aformal program that sets up students with the ability to transfer (assuming they meet the criteria) to the University of Wisconsin-Madison. A significant amount of money can be saved with this approach. Is there anything wrong with working or doing military service before choosing a higher education program? No. This may be an effective strategy for those that are uncertain about their career plans. This time after high school may provide opportunities to further explore areas of interest and time to save some money. That money could be used for tuition if the person decides to pursue higher education. There are many more questions that could be asked. Each person has a different situation. The main point that I wanted to drive home in this blog is that there are options for those that pursue a college degree, a professional degree, or other career paths to strategize around how they can finance their education without overwhelming themselves with an unbearable amount of debt. We welcome any thoughts or comments to continue this discussion!